Building a solid athletic foundation of strength, power, speed, mobility and injury reduction. Each 60 minute workout focuses on functionally sound movement training with a strong focus on basic and proper technique. 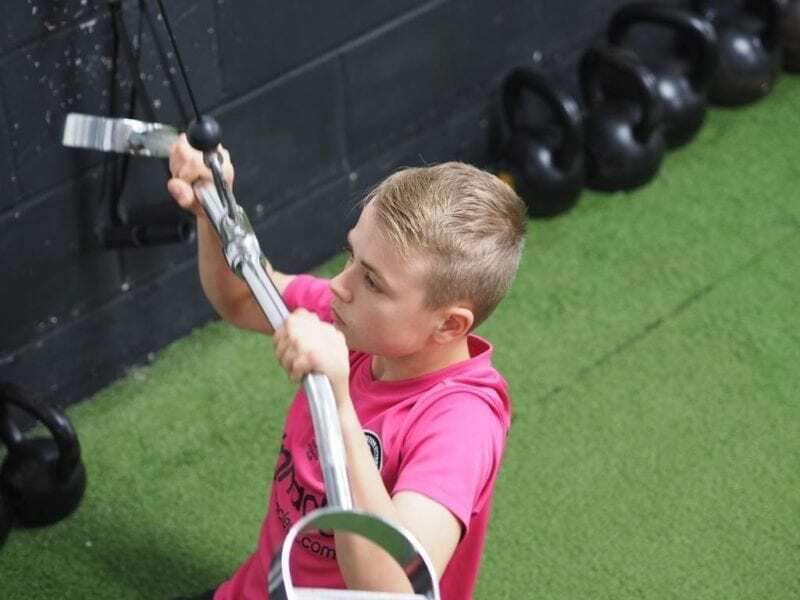 Strength, conditioning and mobility form the foundation of the youth programme over each training term, as the workouts become progressively more challenging once basic techniques have been mastered. What will my child develop during each training term? 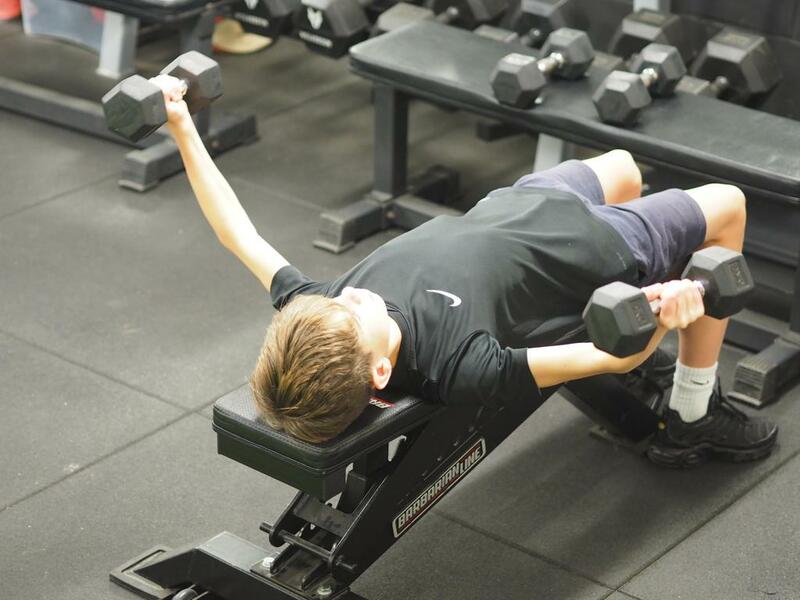 Strength Functional approach taught through instruction which focuses on upper and lower body plus core musculature. Explosive Power Jumping and landing mechanics are mastered with a strong emphasis on medicine ball work and an introduction to basic plyometric drills. Mobility Various forms of active/dynamic stretching and muscle activation exercises. 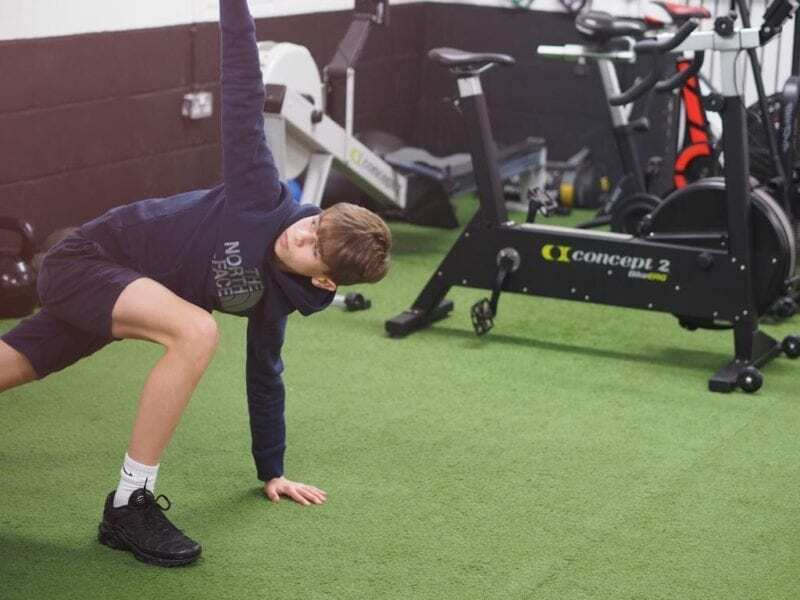 Injury Reduction Aim to identify and lessen muscle imbalances, with a key emphasis on balance and stabilisation ability. SPC Youth follows a once weekly training schedule which is aligned with the school terms. Enter your details below and one of the team will be in touch. 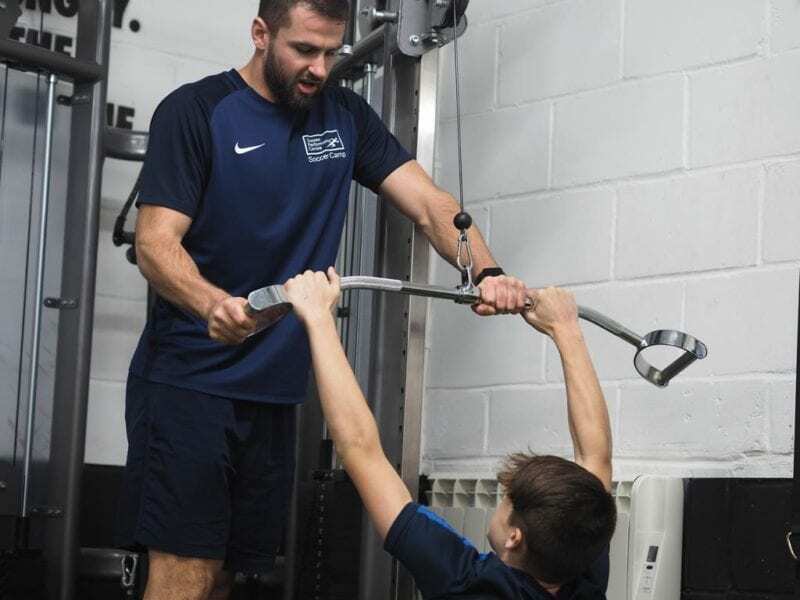 Over the last two years, the football performance programme has seen a transformation in the culture of using effective strength & conditioning for sports performance, which is solely down to SPC. 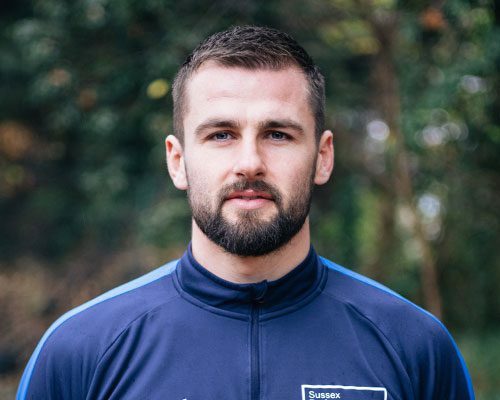 All groups are lead by Aarran Racine and Harry Short, who both have unique experiences in professional and amateur sports. 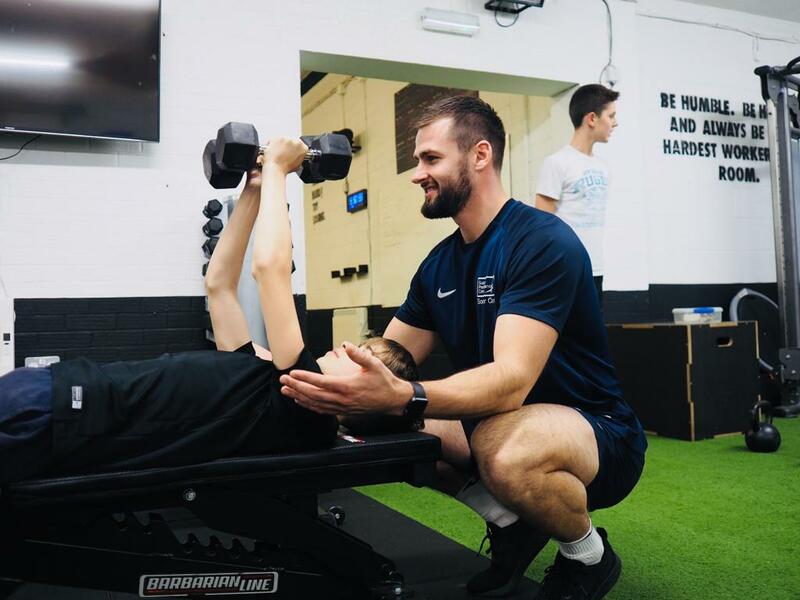 Their expertise provides your child with the knowledge to take their physical performance to the next level in a safe, motivating and enjoyable environment. Our youth training camps are for 14-16-year-olds. Want to gain access to the methods of SPC wherever you are in the world?